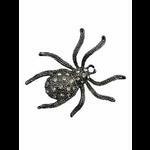 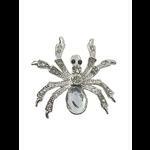 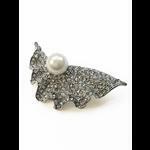 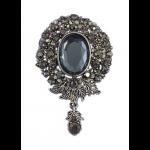 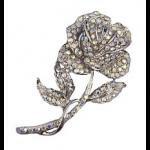 A Victorian Style pendant brooch made from antique effect silver encrusted with sparkling crystals. 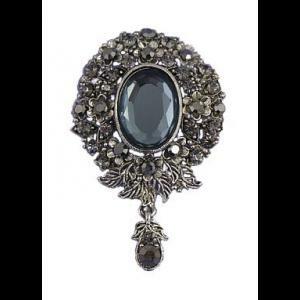 The centre of the brooch has a large smoky grey faceted crystal with a smaller drop crystal finishing the brooch off at the bottom. 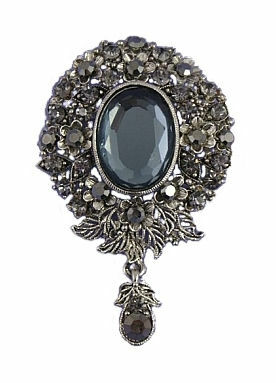 Boxed..